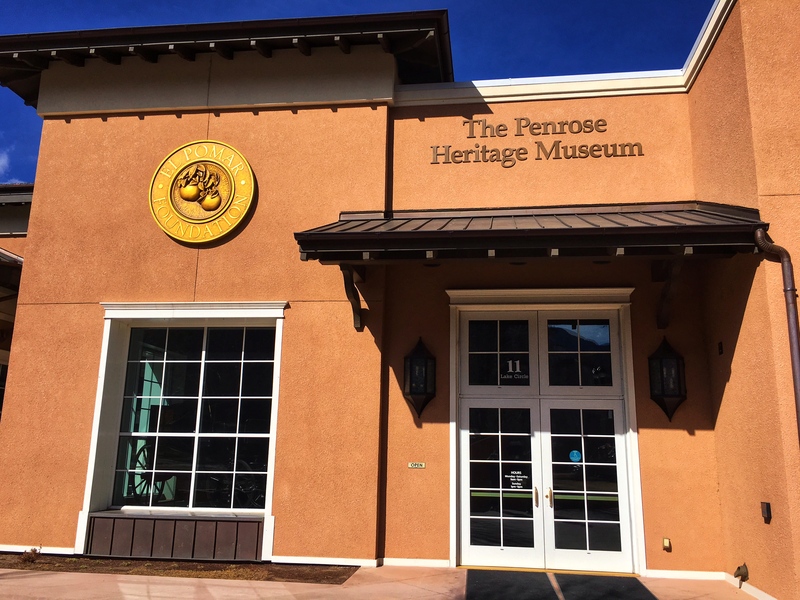 Spencer Penrose was one of the lucky few who got rich on gold and silver mines in Colorado. He used his money to build the Broadmoor, Cheyenne Mountain Zoo, Pike Peak Highway, and all sorts of other stuff in and around Colorado Springs. 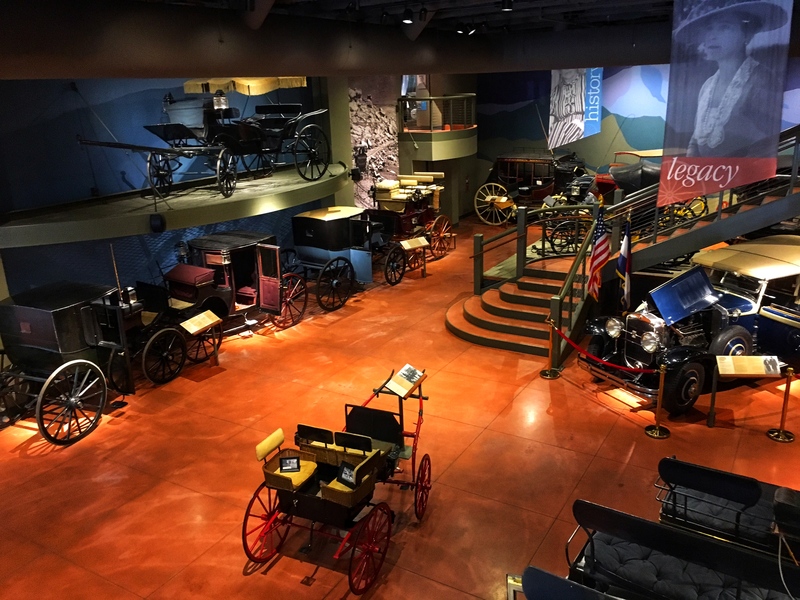 When he died, his wife, Julie, started a museum to house the Penrose’s carriage collection. 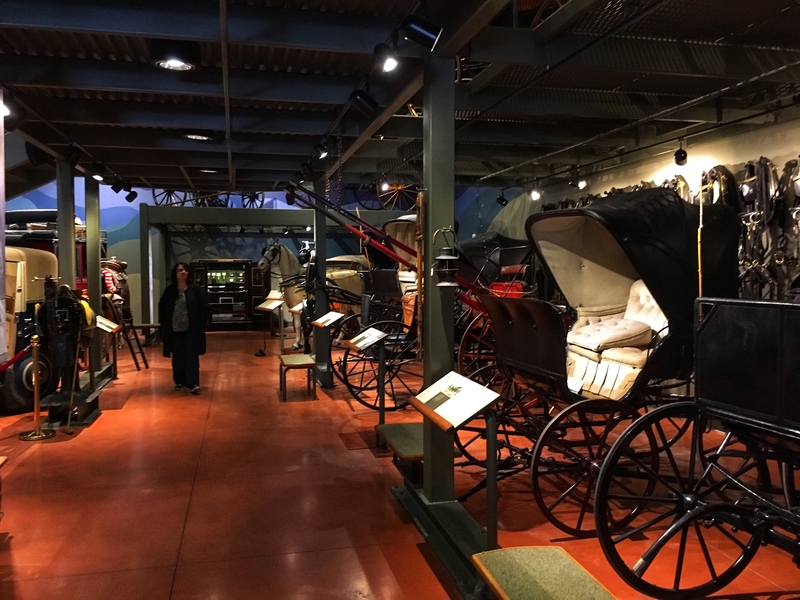 The carriages are still the primary focus, although other bits have been added since. We stopped in around noon on a Thursday and had the place to ourselves except for a kindly old docent who was apparently lonely. He spent about 20 minutes telling us what we were about to see, and about the time he went to Chicago, and about how his wife died. But we weren’t in a hurry. We hadn’t gone very far when he caught up with us. He pulled a clay container out of one of the carriages and asked if we knew what it was. Sally said it was a foot warmer. She was right, to the old man’s complete amazement. He went to the next carriage and pulled out a metal wedge and asked again. Sally said it was another foot warmer that used coal. He quit asking us stuff then, although he did follow me around for another 10 minutes to tell me all the stuff that was written on the signs. 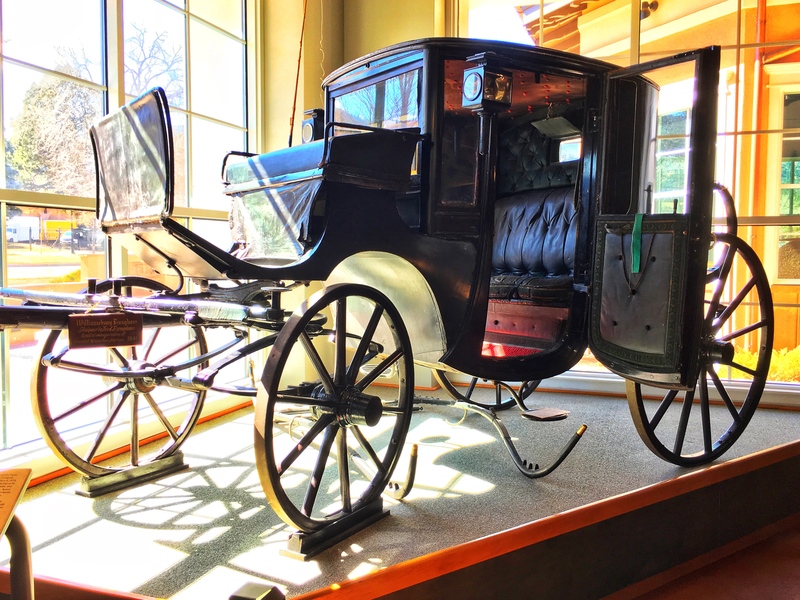 This brougham was built in 1841. The sign next to it claims it was used in the inauguration parade of William Henry Harrison, but it doesn’t say how they know this. Harrison rode a horse, so he wasn’t in it. He did own a brougham (for which he paid $500), but nobody knows if this was it. All rather vague. 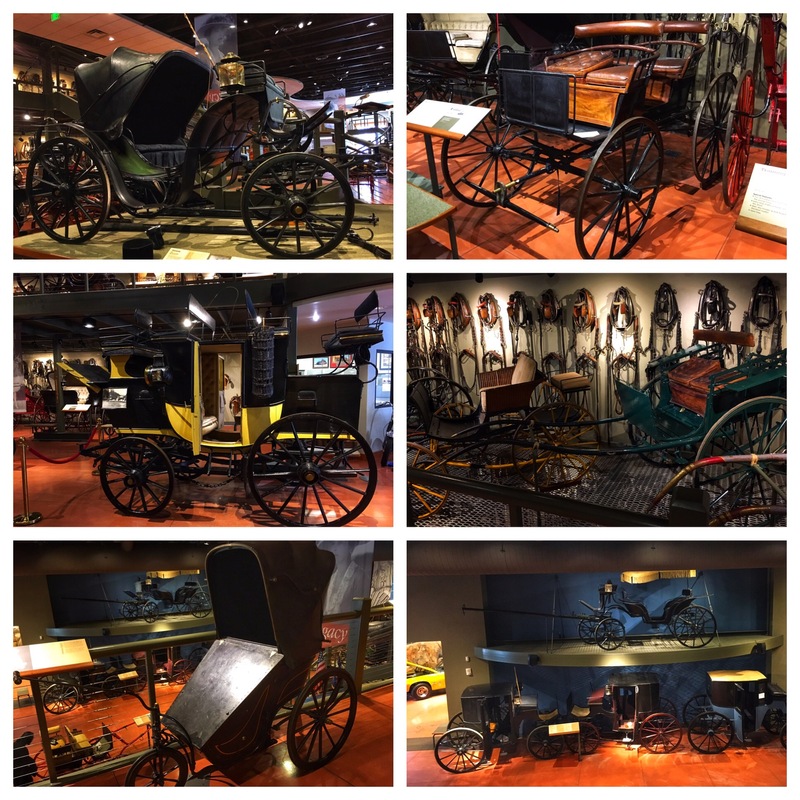 Clockwise from upper left: A brougham (rhymes with home) once owned by Chester A. Arthur and given to the Penroses by his son; a surrey built in 1897; a basket phaeton built about 1905 (left) and a village cart built around 1897; three broughams built in the late 1800’s (lower level) and a vis-a-vis (top) from the French for “face to face;” a gentleman’s drag, built in 1890 and used to carry up to 18 people to sporting events where the seats on top could serve as a private (but crowded) grandstand. 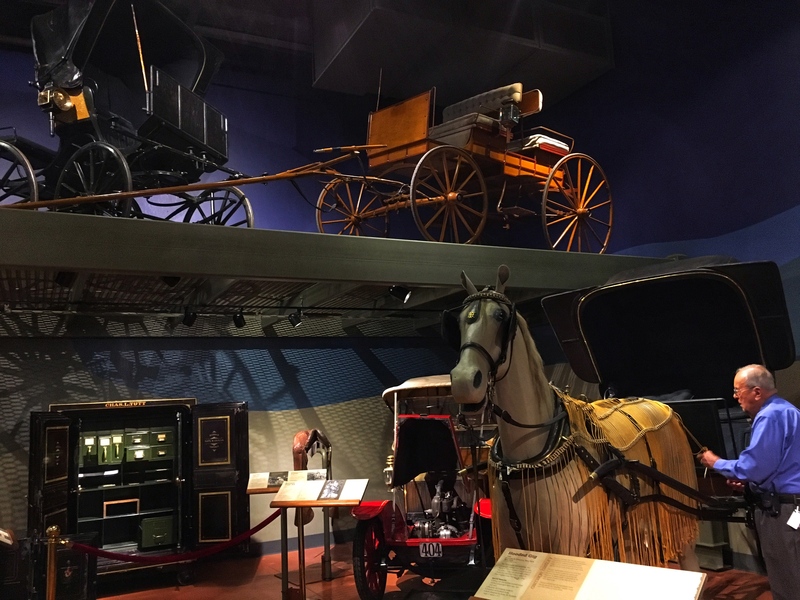 A gentleman’s phaeton built in 1890 (left top) and a surrey made of bird’s-eye maple manufactured in about 1895. On the right, our old friend arranges the fringe on a horse mannequin. The safe on the lower level was built around 1885. The red car next to it is a Renault Type AX, built in 1909. 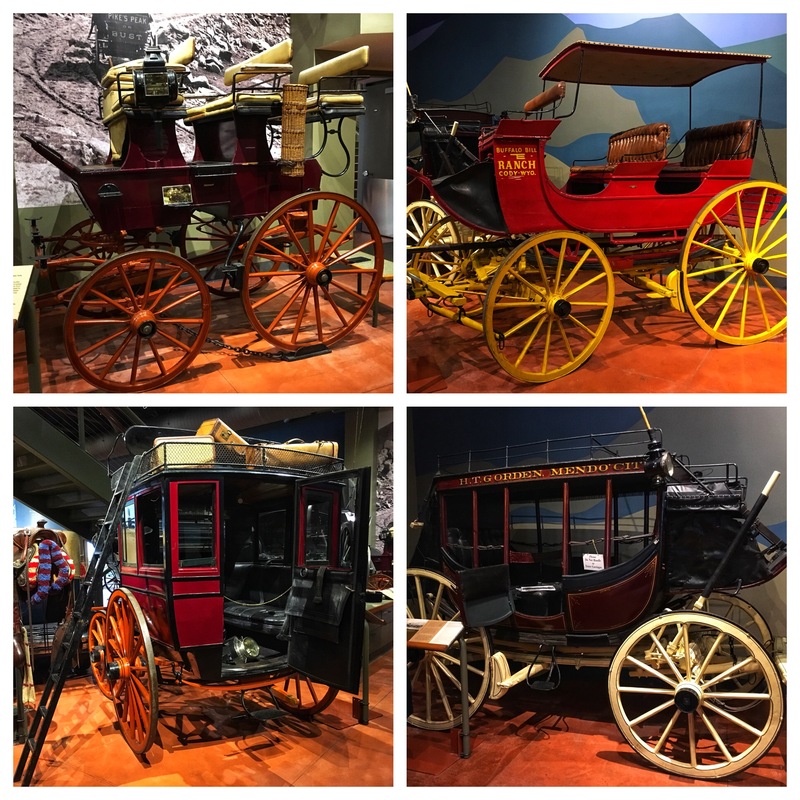 Clockwise from upper left: an 1895 break, used for watching sporting events or to “break” colts; an 1890’s Yellowstone wagon used by Buffalo Bill Cody to carry guests to his ranch; an 1857 Concord coach used to carry mail and passengers. The Penroses used it at the Broadmoor to carry celebrities to the local rodeo; an 1890 opera bus, or omnibus, which could carry up to 10 passengers. Clockwise from upper left: a 1935 carromata from the Philippines, used as a city carriage; a 1930’s calesa, also from the Philippines. 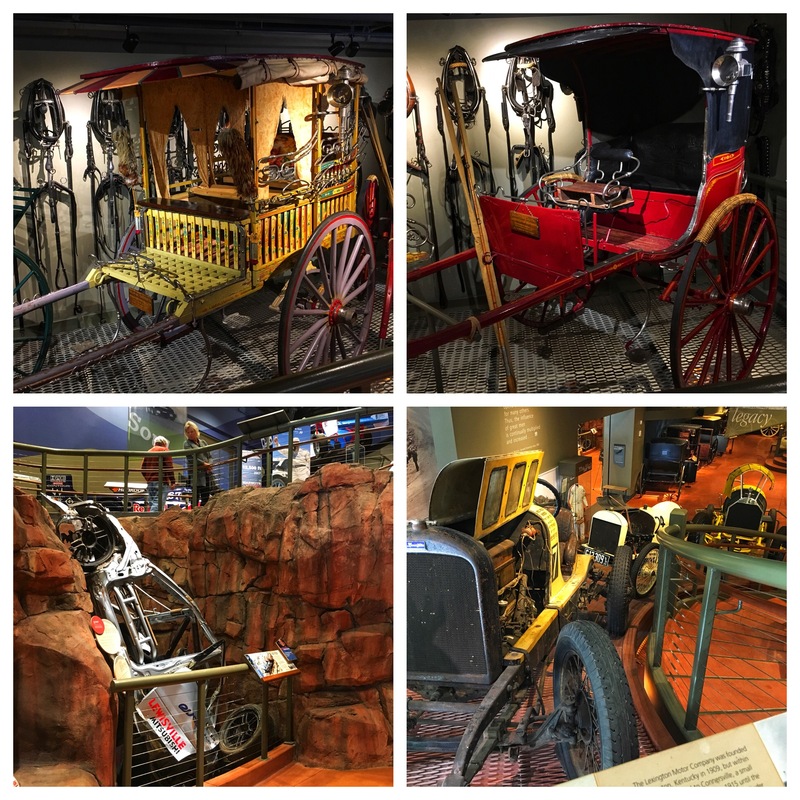 Carriages like these are still used for tourists in Manila; two views of the Pikes Peak Hill Climb exhibit. On the right are early contestants; on the left is the remains of a crash (from which the driver walked away). 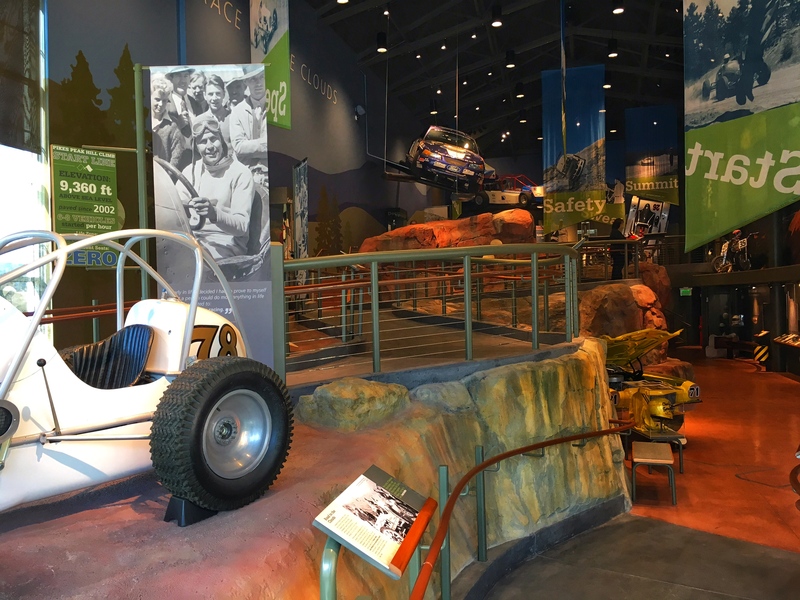 A second room featured the Pikes Peak Hill Climb, the annual race up the Pikes Peak Highway. 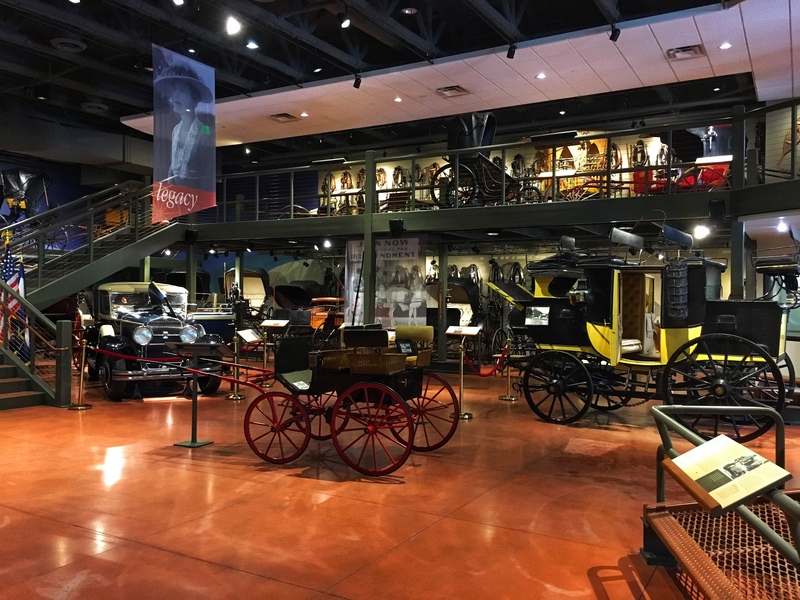 This entry was posted in Museums, Transportation. Bookmark the permalink.